Missing teeth can disrupt the all-important balance of your bite, and must be replaced. For optimal results, modern replacement teeth like dentures and dental crowns are often secured to one or more dental implants. These small titanium posts offer unmatched stability for your replacement teeth by mimicking your natural teeth’s roots. When saving a tooth is no longer an option, replacing it with a dental implant at our Atlanta dentist’s office may offer the best solution to preserve your long-term oral health. 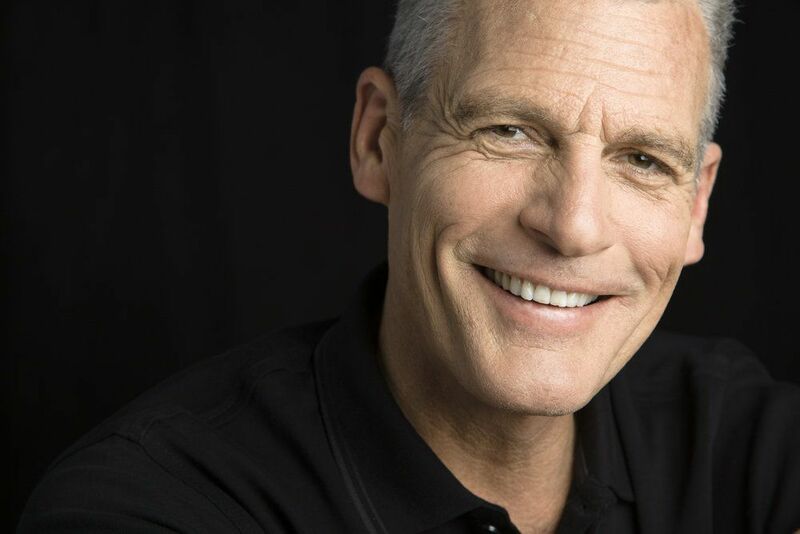 Contact our practice today to learn more about the cost and benefits of dental implants, as well as how this treatment option can help you rebuild your smile and improve your quality of life. Most adults who have lost one or more permanent teeth are viable candidates for dental implants, depending on the state of their oral health. After a thorough and comprehensive examination of your mouth, our team can determine if any issues may hinder your eligibility. Generally speaking, the best candidates for dental implants are non-smokers with healthy teeth and gums, and adequate bone mass in the jaw. If you are missing a tooth, and have waited years to replace it, the jaw may have lost bone mass at the site of the gap. If your jawbone is too weak to support the prosthetic tooth roots, then the oral surgeon may perform a bone graft to fortify it. When properly cared for, dental implants offer a lifetime tooth replacement solution. Many patients discover that dental implants are much more comfortable than other removable replacement devices, such as dentures. When replacing missing teeth with dental implants, patients find a new sense of confidence in their smile. Feather Touch Dental Care is proud to be able to place your implant as well as restore it once placed. Depending on the severity of your tooth loss, you may require one or several implants to support a dental crown, bridge, or full denture, which is crafted in a specially-equipped dental lab according to Dr. Shah, Dr. Kim or Dr. Ross’ specifications. Healing usually lasts 3-6 months following implant surgery. During this time, the implants become fused to the jaw in a process called osseointegration. When this process is complete, patients undergo a second surgery in which special abutments are placed on the implants, serving as the point of contact with crowns or dentures. In some cases, patients can have front teeth replaced with immediate implants. The absence of one or more healthy teeth can seriously inhibit your ability to bite and chew. Insufficient nutrition and jawbone deterioration are natural results of lost teeth, and can make a person look and feel older than their years. The human body knows that missing teeth no longer require nutrients, and it reacts by redirecting nutrients to other areas of the body, which causes jawbone deterioration. Because dental implants replace teeth roots, the stimulation to your jawbone will result in retained bone mass. Dental implants can eliminate the risk of jawbone deterioration and related side effects. No other dental prosthetic has this ability. 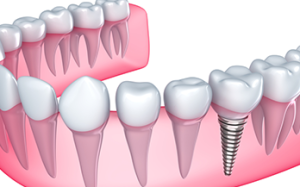 If you are suffering with missing teeth, dental implants can provide an outstanding anchor for crowns and dentures. This landmark treatment has helped many patients to once again experience the benefits of a healthy, functional smile. To schedule a consultation with one of our skilled dentists, please contact our office today.